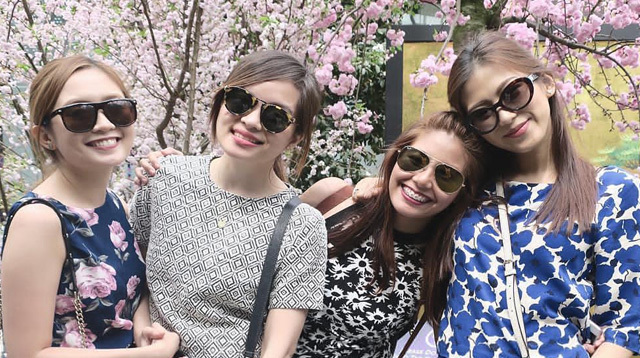 Alex Gonzaga Went On Super Fun All-Girls Trip To SG! Sure gives us barkada goals! Alex Gonzaga spent her Holy Week break in Singapore with three of her main girls, and we couldn't help but notice how cute they looked in their matchy matchy outfits! Check out their photos here, which Alex hashtagged #TgiSG. All smiles (and laughs) in their dungarees at the Universal Studios Singapore. Cuuuute! Floral prints at the Singapore Flower Dome: Fresh na fresh!